thiruvAimozhi 1.4.7 – enbu izhai – http://divyaprabandham.koyil.org/index.php/2015/07/thiruvaimozhi-1-4-7-enbu-izhai/ . Full series can be viewed at http://divyaprabandham.koyil.org/?page_id=23 . thiruppaLLiyezhuchchi pAsuram 5 – http://divyaprabandham.koyil.org/index.php/2015/07/thiruppalliyezhuchchi-telugu-5/ based on http://divyaprabandham.koyil.org/index.php/2015/01/thiruppalliyezhuchchi-5-pulambina/ – telugu translation by shashidhar swamy. Full series at http://divyaprabandham.koyil.org/index.php/2015/06/thiruppalliyezhuchchi-telugu/ . thiruppaLLiyezhuchchi pAsuram 6 – http://divyaprabandham.koyil.org/index.php/2015/07/thiruppalliyezhuchchi-telugu-6/ based on http://divyaprabandham.koyil.org/index.php/2015/01/thiruppalliyezhuchchi-6-iraviyar/ – telugu translation by shashidhar swamy. Full series at http://divyaprabandham.koyil.org/index.php/2015/06/thiruppalliyezhuchchi-telugu/ . emperumAnAr – life and glories in thamizh – https://guruparamparaitamil.wordpress.com/2015/07/22/emperumanar/ – new article by renga rAmAnujam swamy based on http://guruparamparai.wordpress.com/2012/09/06/emperumanar/ . Please visit https://guruparamparaitamil.wordpress.com/2015/03/14/introduction-2/ to see the full list. embAr – life and glories in thamizh – https://guruparamparaitamil.wordpress.com/2015/07/23/embar/ – new article by echchUr srInivAsan swamy based on http://guruparamparai.wordpress.com/2012/09/07/embar/ . Please visit https://guruparamparaitamil.wordpress.com/2015/03/14/introduction-2/ to see the full list. thiruvAimozhi 1.4.6 – aruLAtha nIr – http://divyaprabandham.koyil.org/index.php/2015/07/thiruvaimozhi-1-4-6-arulatha-nir/ . Full series can be viewed at http://divyaprabandham.koyil.org/?page_id=23. rAmAnusa nURRanthAdhi e-book kannada transliteration/translation – https://srivaishnavagranthams.wordpress.com/e-books/ – kannada (Transliteration of commentaries of maNavALa mAmunigaL and piLLai lOkam jIyar’s with translation of PB aNNangarAchAryar swamy’s essence meaning from his dhivyArtha dhIpikai). Also includes 82 postulates given by srI rAmAnuja at the end of the book. Many thanks to srImath paramahamsa ithyAdhi yadhugiri yathirAja jIyar swamy, srI yadhugiri yathirAja jIyar mutt (http://www.yathirajamutt.org/) and vAsudhEvan maNikarNikE swamy for sharing this valuable publication for the benefit of all. thiruppaLLiyezhuchchi pAsuram 4 – http://divyaprabandham.koyil.org/index.php/2015/07/thiruppalliyezhuchchi-telugu-4/ based on http://divyaprabandham.koyil.org/index.php/2015/01/thiruppalliyezhuchchi-4-mettila/ – telugu translation by shashidhar swamy. Full series at http://divyaprabandham.koyil.org/index.php/2015/06/thiruppalliyezhuchchi-telugu/ . gyAna sAram (hindi) – 31st to 34th pAsuram published at http://divyaprabandham.koyil.org/index.php/2014/11/gyana-saram-hindi/. Thanks to T S lakshminarasimhan swamy for publishing the same. 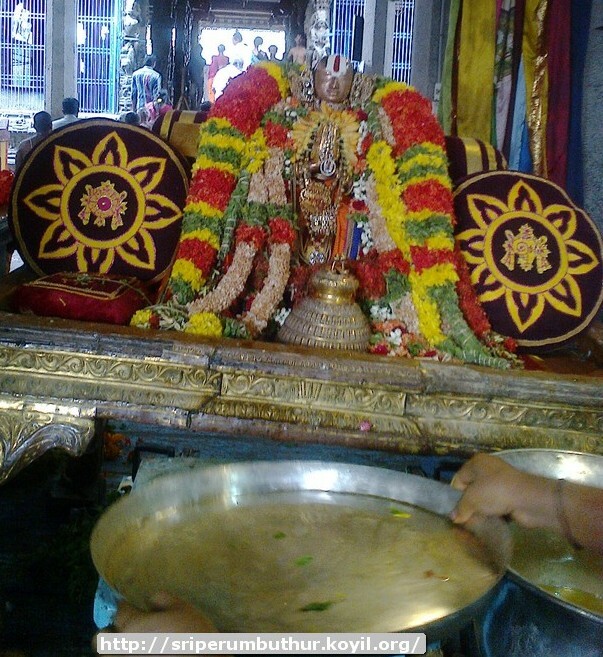 thoNdaradippodi AzhwAr – life and glories in thamizh – https://guruparamparaitamil.wordpress.com/2015/07/18/thondaradippodi-azhwar/ – new article by sadagOpan swamy based on http://guruparamparai.wordpress.com/2013/01/08/thondaradippodi-azhwar/ . Please visit https://guruparamparaitamil.wordpress.com/2015/03/14/introduction-2/ to see the full list. nadAthUr ammAL (vAthsya varadhAchArya) – life and glories in hindi – https://guruparamparaihindi.wordpress.com/2015/07/20/nadathur-ammal/ – new article by bhagavathi ammangar based on http://guruparamparai.wordpress.com/2013/04/05/nadathur-ammal/ . Please visit https://guruparamparaihindi.wordpress.com/2013/08/29/introduction-2/ to see the full list. srIvaishNava granthams – charamOpAya nirNayam – https://srivaishnavagranthamstelugu.wordpress.com/2015/07/18/charamopaya-nirnayam-introduction/ based on http://ponnadi.blogspot.in/2012/12/charamopaya-nirnayam-introduction.html – telugu translation by srInivAsa rAmAnuja swamy. Full series can be viewed at https://srivaishnavagranthamstelugu.wordpress.com/charamopaya-nirnayam/ . thiruppaLLiyezhuchchi pAsuram 3 – http://divyaprabandham.koyil.org/index.php/2015/07/thiruppalliyezhuchchi-telugu-3/ based on http://divyaprabandham.koyil.org/index.php/2014/12/thiruppalliyezhuchchi-3-sudaroli/ – telugu translation by shashidhar swamy. Full series at http://divyaprabandham.koyil.org/index.php/2015/06/thiruppalliyezhuchchi-telugu/ . kaNNinuN chiRuth thAmbu pAsuram 2 – http://divyaprabandham.koyil.org/index.php/2015/07/kanninun-chiru-thambu-telugu-2/ based on http://divyaprabandham.koyil.org/index.php/2015/01/kanninun-chiru-thambu-2-navinal/ – telugu translation by chUdAmaNi ammangar and published by shashidhar swamy. Full series at http://divyaprabandham.koyil.org/index.php/2015/06/kanninun-chiru-thambu-telugu/ . thiruvezhukURRirukkai – English – e-book link available at http://divyaprabandham.koyil.org/index.php/2015/04/thiruvezhukurrirukkai/ and https://srivaishnavagranthams.wordpress.com/e-books/. Thanks to parAsaran (pradeep) swamy for preparing the e-book. guru paramparai – vEdhAnthAchAryar – life and glories in hindi – https://guruparamparaihindi.wordpress.com/2015/07/19/vedhanthacharyar/ – new article by bhagavathi ammangar based on https://guruparamparai.wordpress.com/2015/06/05/vedhanthacharyar/ . Please visit https://guruparamparaihindi.wordpress.com/2013/08/29/introduction-2/ to see the full list. thiruvAimozhi 1.4.5 – nalgith thAn – http://divyaprabandham.koyil.org/index.php/2015/07/thiruvaimozhi-1-4-5-nalgith-than/ . Full series can be viewed at http://divyaprabandham.koyil.org/?page_id=23. gyAna sAram (hindi) – 24th to 30th pAsuram published at http://divyaprabandham.koyil.org/index.php/2014/11/gyana-saram-hindi/. Thanks to T S lakshminarasimhan swamy for publishing the same. 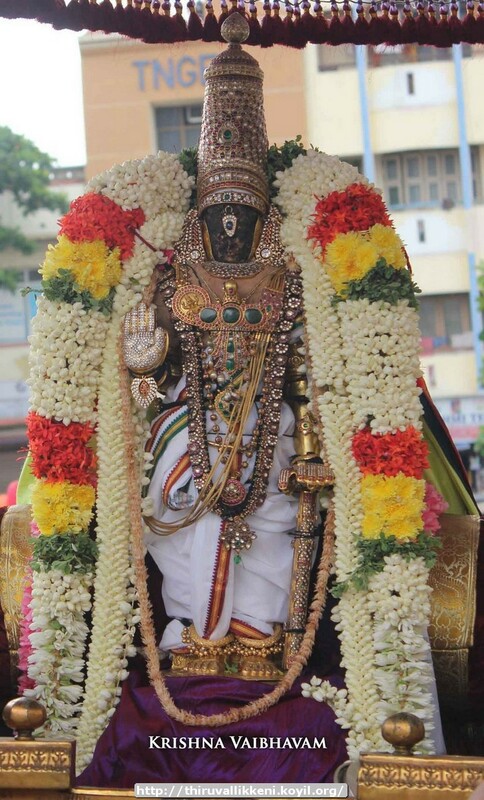 guru paramparai – ANdAL – life and glories in thamizh – https://guruparamparaitamil.wordpress.com/2015/07/18/andal/ – new article by sadagOpan swamy based on https://guruparamparai.wordpress.com/2012/12/16/andal/ . Please visit https://guruparamparaitamil.wordpress.com/2015/03/14/introduction-2/ to see the full list. thiruvAimozhi 1.4.4 – en nIrmai – http://divyaprabandham.koyil.org/index.php/2015/07/thiruvaimozhi-1-4-4-en-nirmai/ . Full series can be viewed at http://divyaprabandham.koyil.org/?page_id=23. thiruppaLLiyezhuchchi pAsuram 2 – http://divyaprabandham.koyil.org/index.php/2015/07/thiruppalliyezhuchchi-telugu-2/ based on http://divyaprabandham.koyil.org/index.php/2014/12/thiruppalliyezhuchchi-2-kozhungodi/ – telugu translation by shashidhar swamy. Full series at http://divyaprabandham.koyil.org/index.php/2015/06/thiruppalliyezhuchchi-telugu/ . This entry was posted in Uncategorized on July 19, 2015 by Sarathy Thothathri.